This rabbit is sound asleep and doesn't even expect that he is in danger. Luckily he has a good friend, a slug who will wake him if something will be wrong. 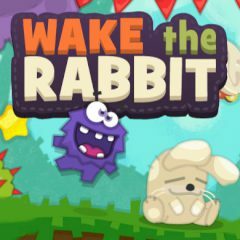 Help the slug to wake the rabbit in all levels, having also collected all stars on his way.